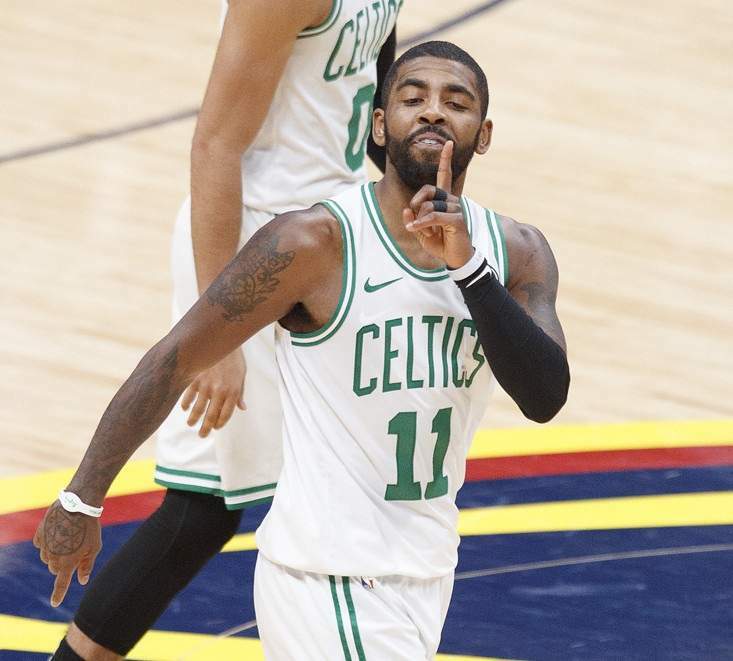 Celtics’ Kyrie Irving: Elite Talent or Fantasy Basketball Headache? Kyrie Irving is injured (again), Kevin Love makes his triumphant return, and is it possible we’ll see a Markelle Fultz sighting in Orlando this season? These are some of the big injury headlines shaping the fantasy basketball world as we head into the 2019 NBA All-Star break. Not using Fantrax to host your fantasy basketball league? Check out our fantasy basketball commissioner and see why you should be! Kyrie Irving simply can’t stay on the court this season. The talented, yet oft-injured superstar has missed 11 games thus far with various injuries and will head into the break with many question marks surrounding his health and future with the Celtics organization. When he’s suited up, he’s been phenomenal, averaging 23.6 points, 6.9 assists, 4.9 rebounds, 1.6 steals, and 2.5 threes, while ranking in the top 10 in 9-category leagues. However, fantasy owners may want to take a cautious approach and try trading the All-Star before another injury occurs. Letting another team deal with the daily injury concerns and inevitable DNP-RESTS will cause less headaches for you in the long run. After missing 50 games with a foot injury, Kevin Love finally returned to live action this past Friday. The Cavs will be very cautious with their star player, as evidenced by his six-minute stint his first game back, but the potential for fantasy goodness has always been there. Against the Knicks on Monday, Love dropped 14 and nine with two treys in just 15 minutes, and will look to continue increasing his workload after the break. Owners who patiently held on will be rewarded, assuming they can deal with him sitting back-to-backs, which Cleveland has just three of for the remainder of the season. The Orlando Magic aren’t in a playoff race, yet they made one of the more interesting trade deadline deals last week, acquiring 2017 No. 1 overall pick Markelle Fultz from the Philadelphia 76ers for Jonathon Simmons and two draft picks. Fultz has been a disappointment so far, but he’s still only 20 years old and has dealt with a shoulder injury his entire career thus far. Orlando offers a new and optimistic destination for Fultz, and he’ll be out of the media storm that rained down on him every day in Philly. The Magic currently have 31-year-old journeyman D.J. Augustin and little else at point guard, so there’s a great opportunity for Fultz to succeed, I just don’t think we’ll see it happen this year. When asked about Fultz’s timeline for returning to the court, Magic President of Basketball Operations Jeff Weltman had this to say: “We’re going to do it right. We are not going to do it fast.” Thoracic Outlet Syndrome is no joke, and it makes sense for the lottery-bound Magic to wait till next season to get Fultz back in the lineup. He shouldn’t be owned in redraft leagues, but the ambiguity surrounding his return could make him a cheaper target for opportunistic dynasty owners. Will he ever be an All-Star? Mmm, I’d probably say no, but he can be a solid starter in the league if he can get his health and head straight. No more, dipsy-do free throw routines, though, please. Isaiah Thomas (hip) made his long-awaited 2018-19 debut Wednesday night vs. his former team, the Sacramento Kings. An MVP candidate just two years ago, Thomas has been sidelined with hip issues since. The Nuggets have a crowded backcourt, which will make playing time hard to come by, but he’s worth a flier in leagues he’s available due to how quickly he can rack up stats …. OKC’s Jerami Grant missed Monday’s game with an ankle injury and is out for Thursday’s first-half finale. This doesn’t sound like a long-term injury and could present a buying moment for fantasy owners. Grant has been a top 45 player in 9-cat leagues over the last month …. The Rockets’ Clint Capela, the Spurs’ Derrick White, and the Heat’s Goran Dragic are set to return following the All-Star break. Make sure one of them isn’t sitting on your wire, because this is the last chance you’ll have to grab them. Ready to take your team to the next level? Check out all of our Fantasy Basketball content. Seth Klein is one of the newest members of the FantraxHQ team, coming aboard in September 2018. Seth brings an extensive resume to the table, having previously written at Razzball, The Fantasy Fix, and FantasyDraft. He has also served as the editor in chief at FantasyCPR and Fake Pigskin, and can be seen and heard on many podcasts and fantasy sports radio shows. Seth was born and bred in Los Angeles, but is a lifelong New York sports fan. He currently resides in the San Fernando Valley with his wife and two young children.